Last Monday, 12/19/11, the City of Tucson invited residents within 300′ of the proposed Main Gate District Urban Overlay District (UOD). The UOD is a modern zoning based concept that can stimulate development in around downtown and university. Tucson is still waiting for one to work. Despite the challenge of transitioning into neighborhoods along their edges, these districts are necessary for Tucson. The downtownLINKS is one of the first proposed overlays that is not yet approved and adopted. Planners and residents know we need to find an edge strategy to preserve the dignity of impacted neighborhoods that are looking at an urbanized future. The Main Gate District is the next hot plan that will bring in hi-rise housing in close proximity to university neighborhoods and perceived traffic. Much of this drive for density is synonymous with the Modern Street Car as the City brain storms ways to make it viable. It needs density along its route or the street car simply faces a weak performance, but if it works, traffic will not be an issue. Residents of West University Neighborhood (WUNA) are troubled by the Main Gate District as it sets the stage for highrise housing adjacent to single story historic homes; which in one case, a 12-14 story zone proposed directly behind 68 year resident Brian McCarthy’s bungalow facing Euclid Ave. Residents fear not only the view of nearby highrises, but concentrated density of single user groups, i.e. students and their undergraduate lifestyle. How do you guarantee the right mixed use? If you factor in the rest of the streetcar linkage, downtownLINKS, etc…, there is plenty of space for a variety of housing and business options and uses. A consensus on what defines the right transitions is perhaps the biggest key to success. Imagine a scenario where residents and developers saw through the same lens. Impossible? Other fears are lack of neighborhood input once such an overlay is adopted. Neighborhoods do not have substantive input. They have their required 300′ proximity notification, public comment and toothless advisory protocol. In a cynical sense, if neighborhoods had any real power, they would have a large part in the planning process and involve the right decision makers. One would think the planning commission would be that venue, but it hasn’t appeared so. A smaller targeted UA area commission might be an idea worth looking at. 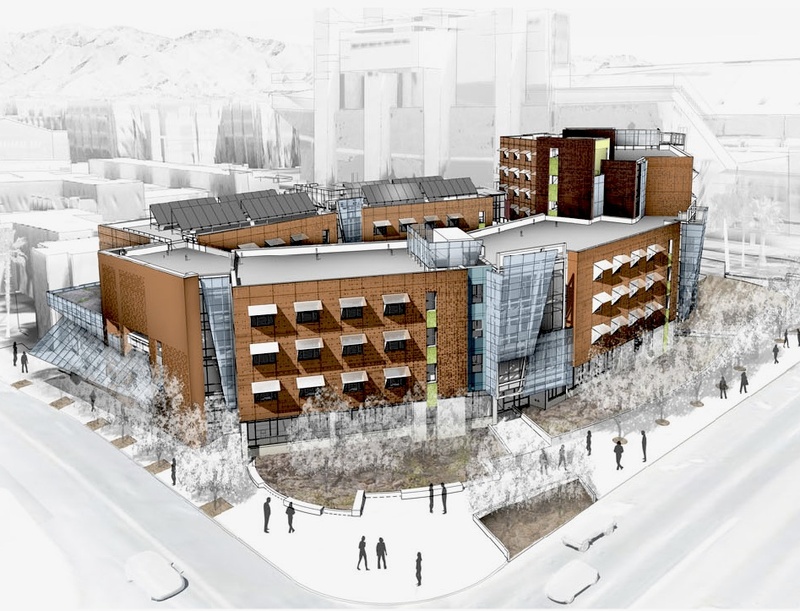 One continuing hurdle for U of A neighborhoods, is that residents want to define what they wish to see in a vacuum, which is partly why what they keep getting the wrong development. Now is always the time move on anything. Currently, that piece of time ripened opportunity is the Main Gate District.